It's been five years and the race is going strong. 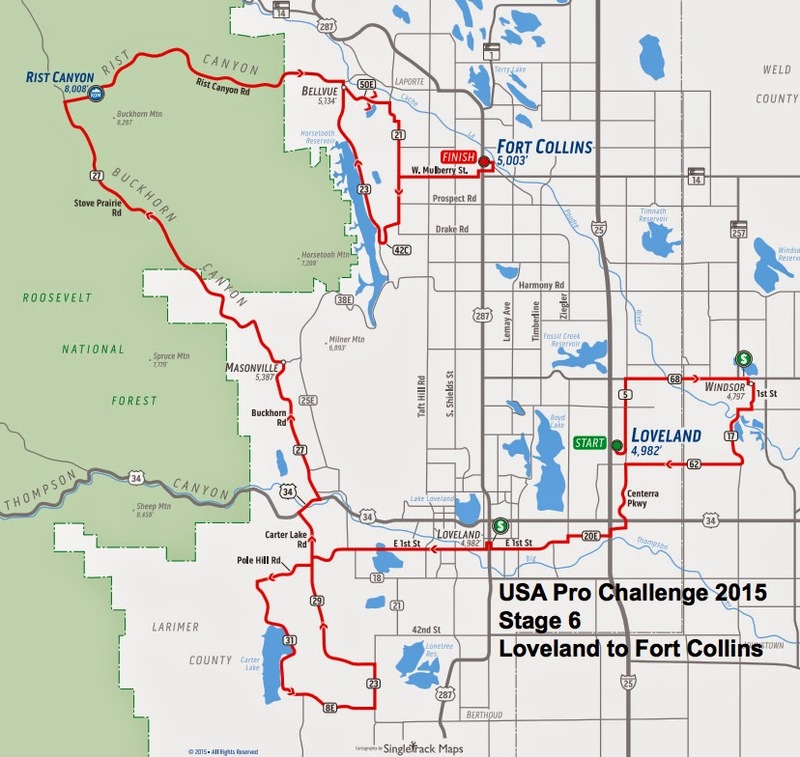 Today the exact route was announced for the seven day stage race in Colorado. 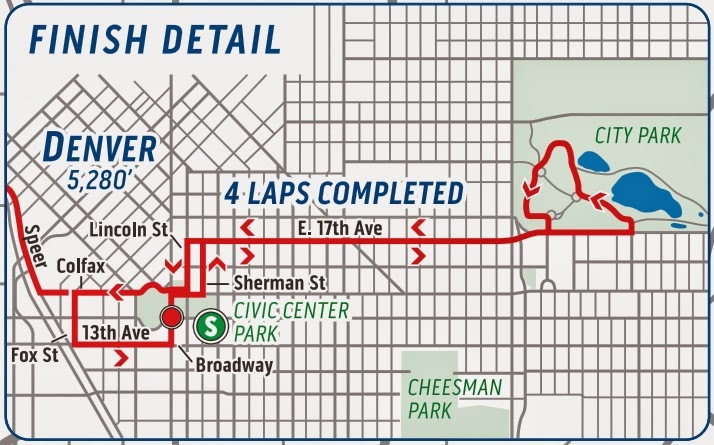 Now we know where the KOMs will be, where the finish lines will be placed, and which cities the race will pass through. 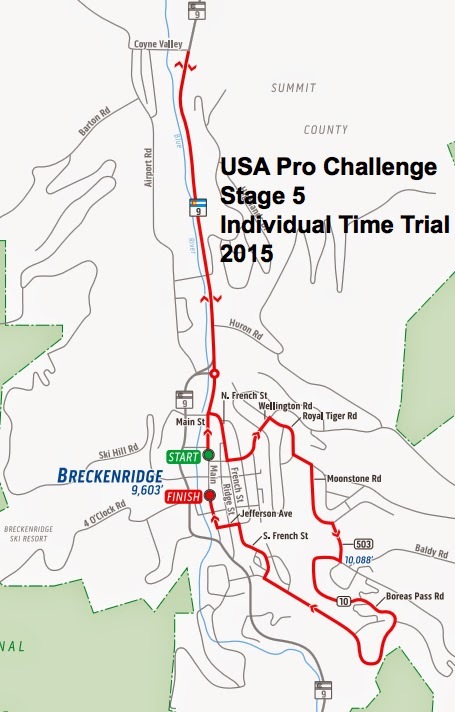 No big surprises since the Host Cities for 2015 USA Pro Challenge were announced last December, we could guess where the route would go. 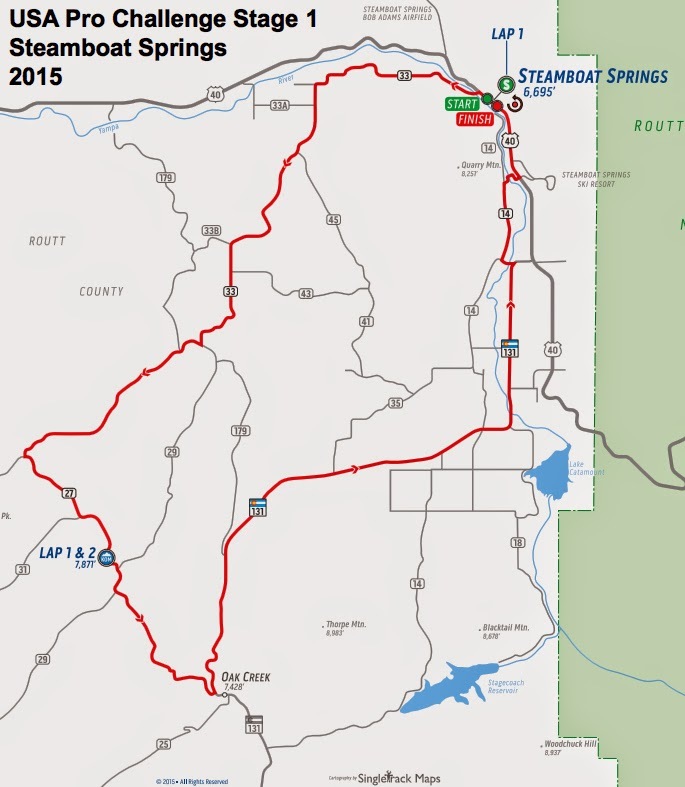 Yet seeing the official maps in print is exciting, routes maps sort of make a race official. 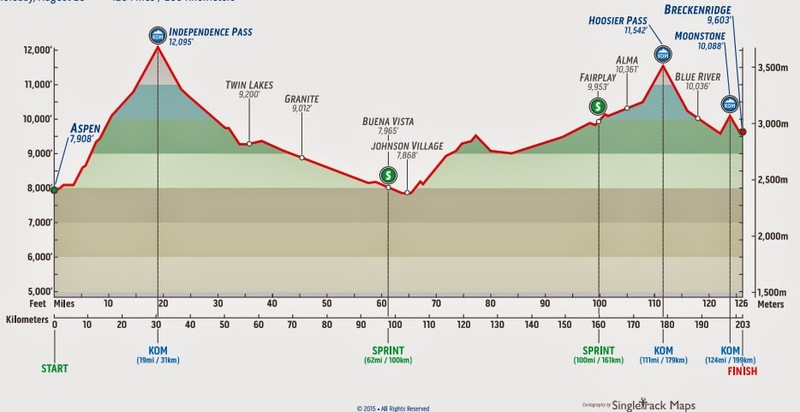 Below are the 2015 route maps and profile maps to the men's race. 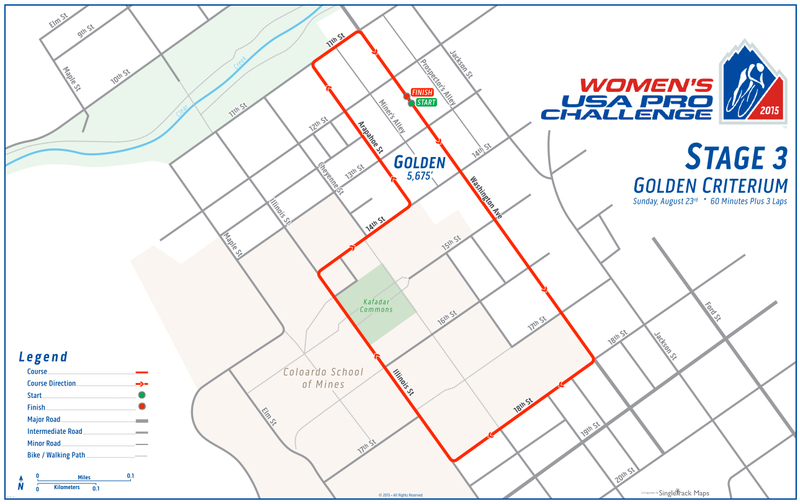 The women route maps have yet to be announced, although the Host Cities are known for both the men's and women's races. Read more about the race at Pedal Dancer® Guide Page: USA Pro Challenge. 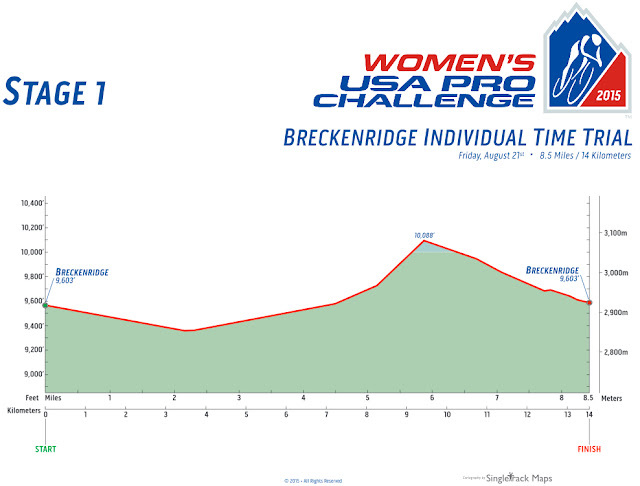 Or view my guides to each stage of the race. Remember - head to Steamboat Springs early so you can see and ride next to the teams training in the days before the race start! 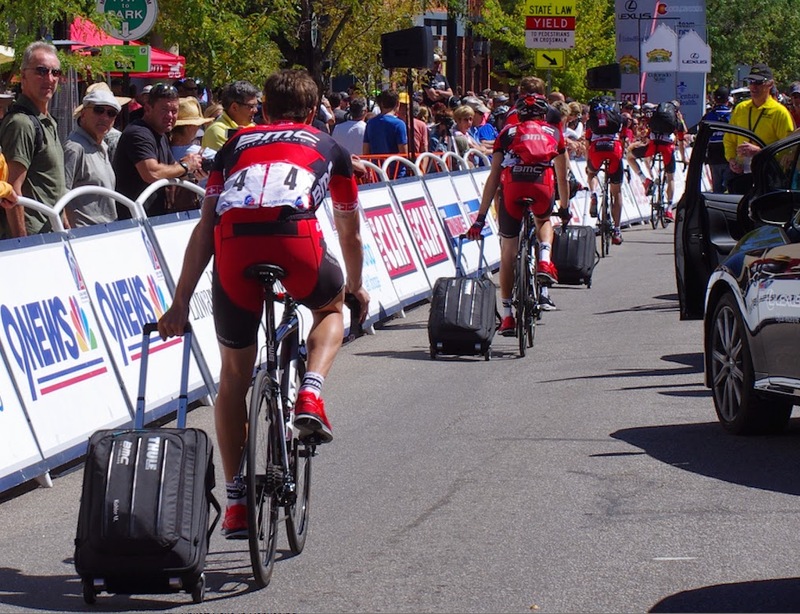 Photo by Karen Rakestraw of Pedal Dancer of team BMC Racing in Aspen 2014. 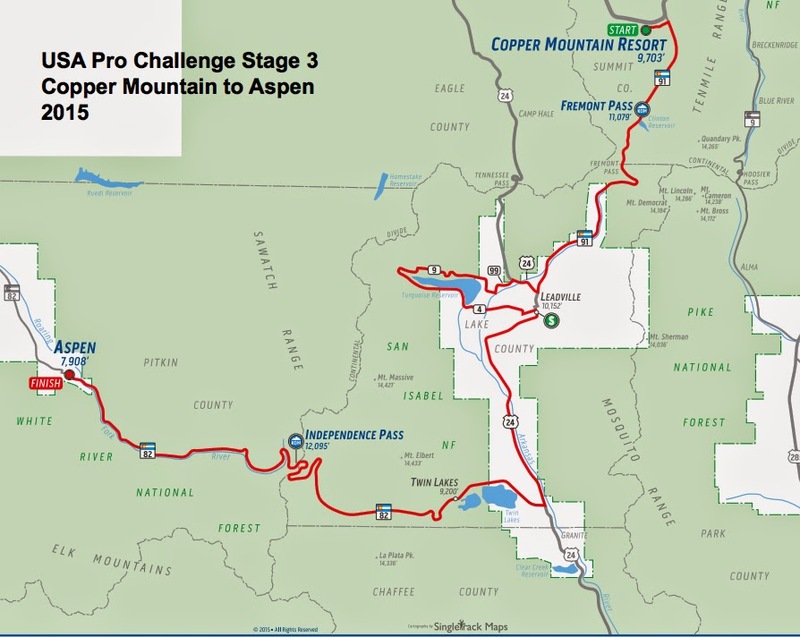 I highly recommend going to Steamboat Springs the weekend before the race starts to be part of the pre race excitement, see the team presentation (usually on Saturday) and ride on the roads with the pros as they train on Saturday and Sunday (August 15th and 16th). If you stay for a long weekend, you will get to see the entirety of Stage 1 and the start of Stage 2 in Steamboat Springs on Monday, August 17th and Tuesday, August 18th. 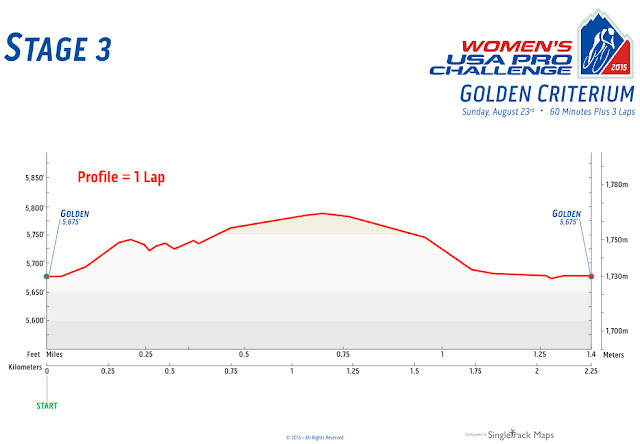 As you might know, I have chased pro races for 15-years on this continent and in Europe and without a doubt my favorite part is showing up three days prior to the start of a big stage race. 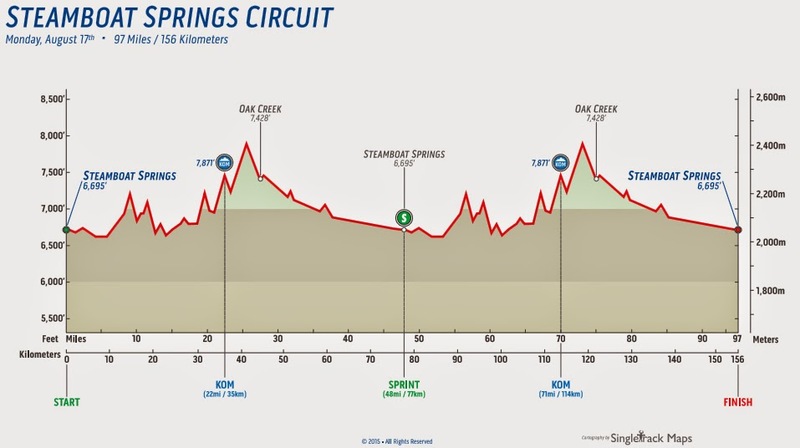 It is the time when I can freely talk to the mechanics, check out the bikes, see the team presentation, meet other fans, enjoy a lazy meal with a lazier beer and people watch galore. I see old friends and meet new ones who are as excited as I am to be at the race. 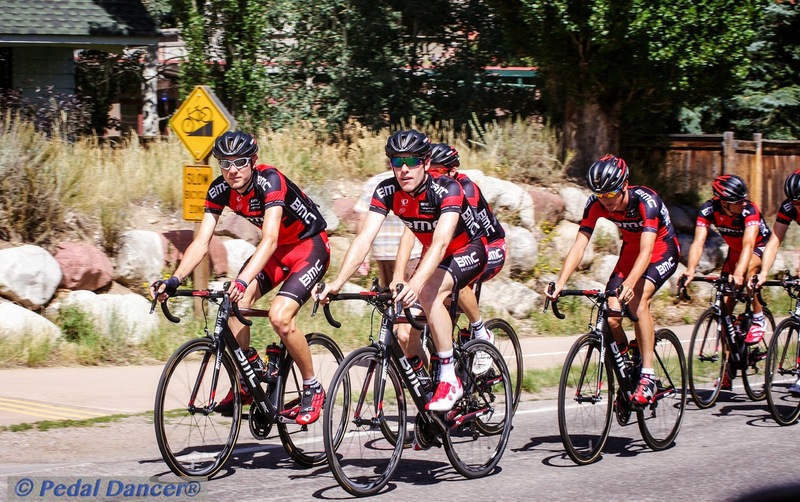 The best part is pumping up the tires and riding on the same roads with the pros; giving a wave to my favorite pro riders while we are all on bikes. Don't miss this experience, it is truly priceless. If you are able to sneak away from work for half a day on Tuesday, August 18th - go to Arapahoe Basin for a new experience, the USA Pro Challenge has never before visited this area of Summit County, Colorado. 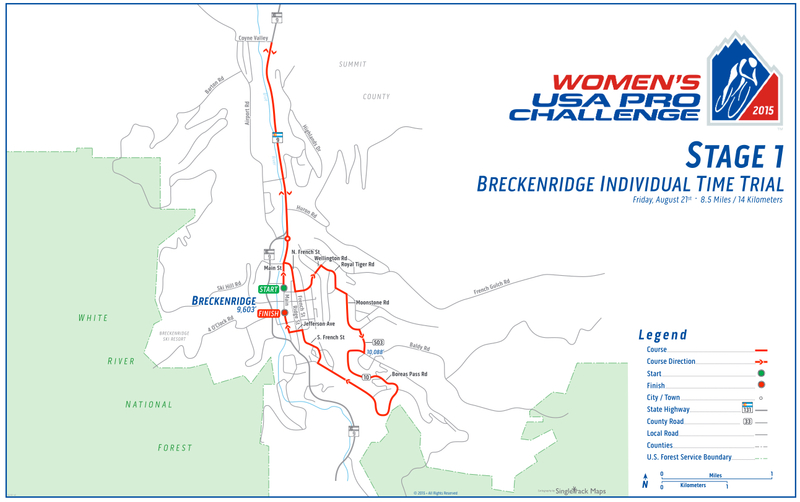 The next day the race starts in Copper Mountain - another first - and sure to attract the locals.The Village of Copper Mountain knows how to host a special event. 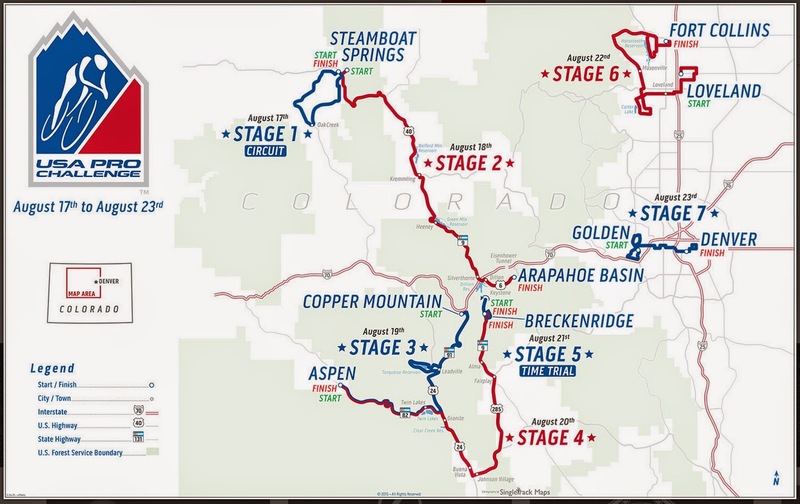 This year the peloton climbs Independence Pass twice (August 19th and 20th). By the second pass, we should know who holds the GC. If you like wearing costumes and having fun at 12,095 feet - this will be the place for you. Of course, you need to ride your bike to the top (a highly recommended bike ride) or if you must - use a car to carry up your numerous banners and flags. 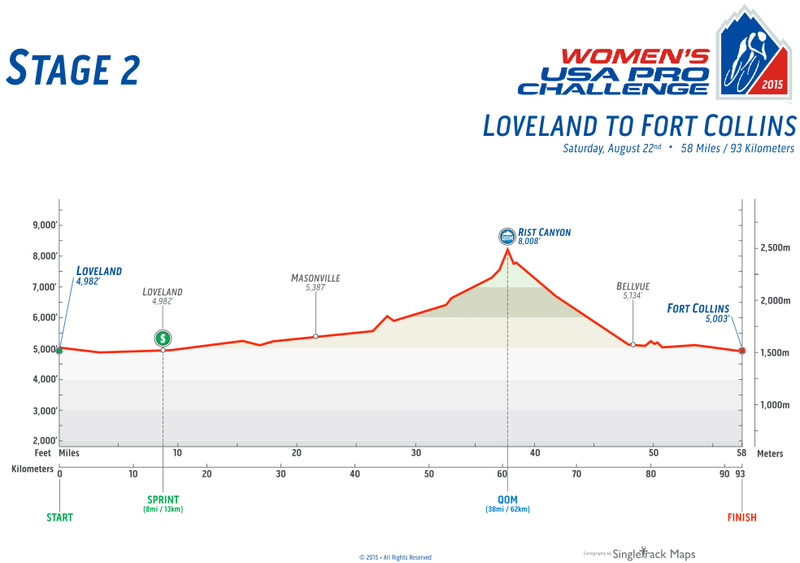 Aspen always has great event atmosphere combined with natural beauty and is a fun place to visit (although they host the race mid-week this year). I also recommend staying over in Breckenridge if possible to see the finish of Stage 4 on Thursday, August 20th, and the women's and men's Stage 5 Individual Time Trial on Friday, August 21st. 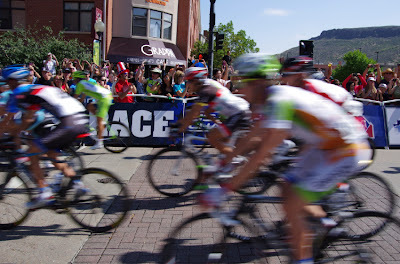 Both Loveland and Fort Collins always organize plenty of street activities with overflowing restaurants full of fans out to enjoy the day and watch a little bike racing. This year the start of Stage 6 is in Loveland and the finish in Fort Collins. 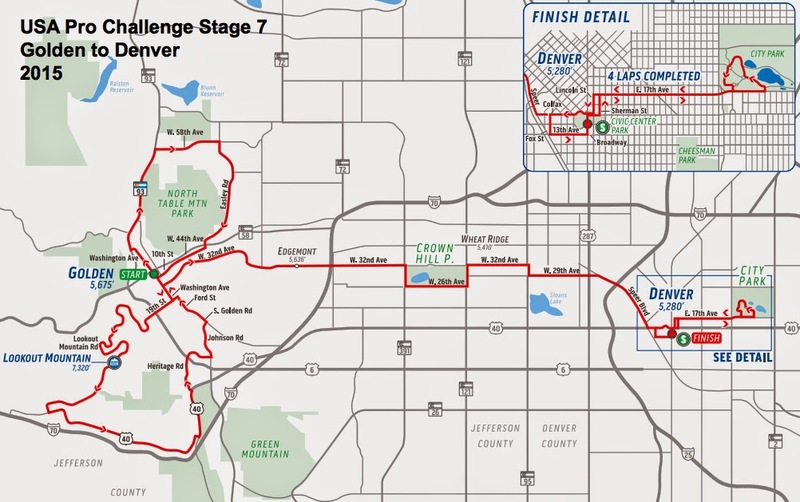 I was thrilled to hear these cities were awarded Stage 6. 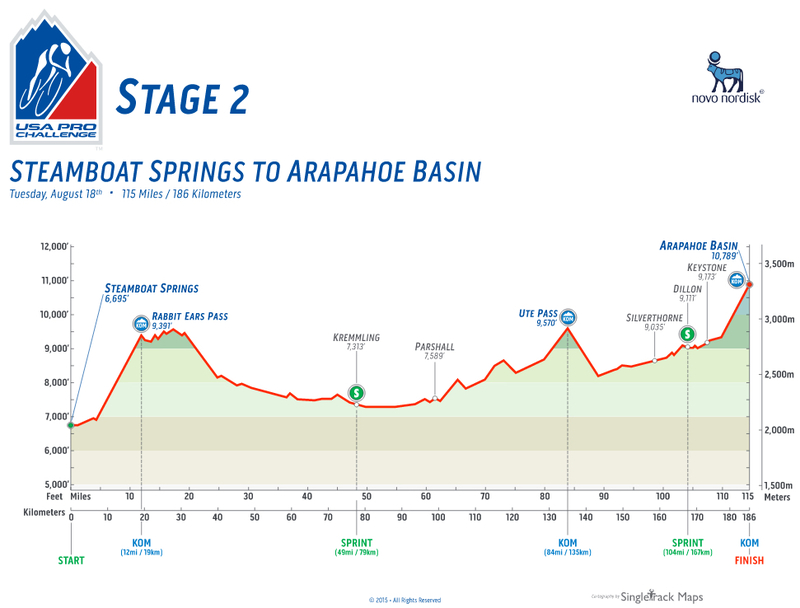 For the final day - Stage 7 - ride up Lookout Mountain, or go anywhere on the course between Golden and Denver to enjoy the time with friends or family at a restaurant patio or standing on a curb downtown; the final day will be about atmosphere and celebrating the overall race leader. On the other hand, Denver does traditionally have the best VIP tents! 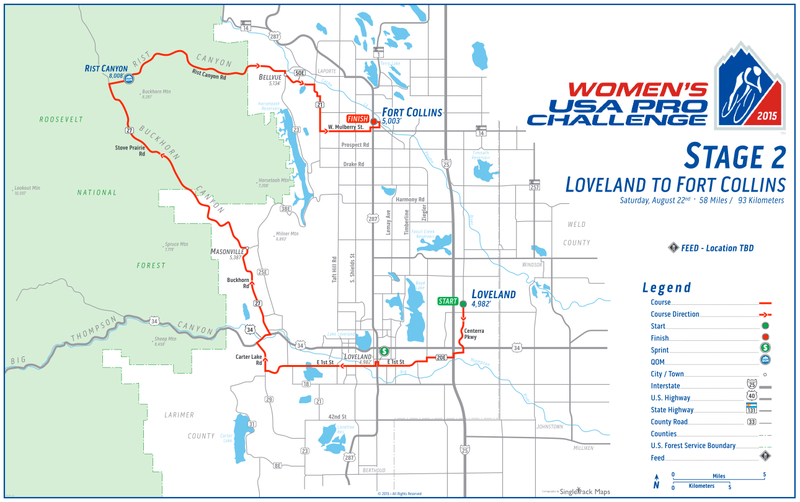 Pack your bags - there is a big bike race in Colorado this August! We the fans are still waiting for news on the teams for 2105. 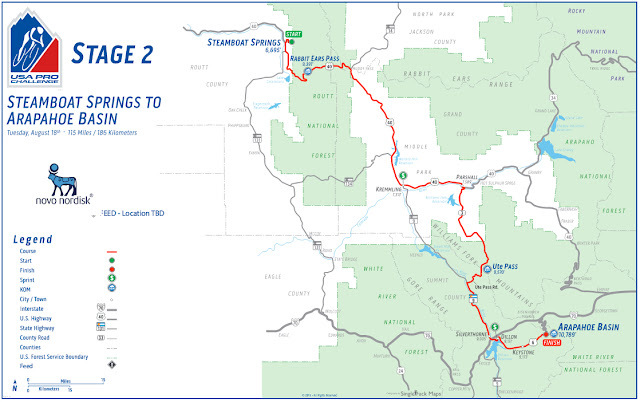 Also the time schedule for each stage and news about road closures. But that shouldn't stop you from scheduling your vacation time, arranging the pet sitter and deciding which bike to bring to Colorado (hint: the one with the tiny cog in the back), and making your transportation and hotel arrangements. 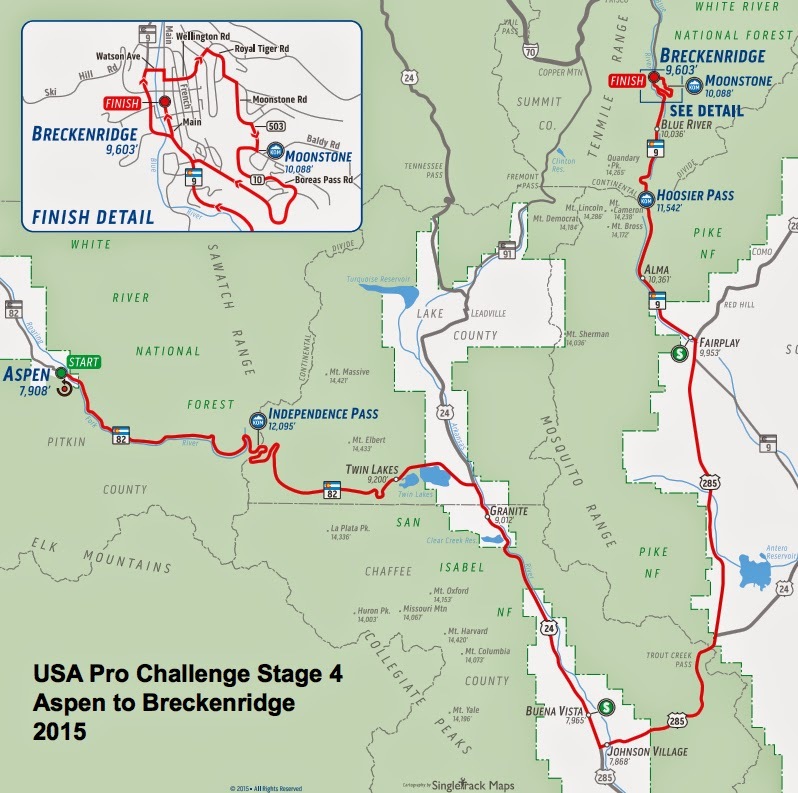 Here is my tip of the day: if you plan to book a hotel in Steamboat for the long-weekend, use this link to arrange your accommodations - you will find much better deals through this USA Pro Challenge hotel deal in Steamboat Springs 2015, offered through the official Steamboat booking services. See you there. August 2015.